Dafna is a Sport Psychology Consultant working with the NY Mets and other professional teams and athletes. Her style reflects a strong interdisciplinary understanding across performance psychology and human analytics. As a mental skills coach, her holistic approach is relationship based. Focusing on the whole person optimizes full development as a performer and individual, building self-awareness, confidence, adaptive thinking, stress-energy management, leadership, attentional control, and imagery for individuals versus a one size fits all approach. Her people analytic skills optimize scouting and player development practices. 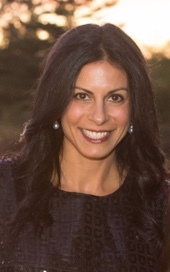 Dafna’s background includes competing for the University of Pennsylvania’s Varsity Track & Field team, while studying at Wharton and the School of Engineering. Since then, her experience includes Global HR Analytics project manager at Deutsche Bank, NY., and starting her own mental skills and performance analytics consulting practice, Be Sports Minded LLC. Combining people analytics with sport science and psychology, she developed a methodology, Future Advanced Scouting Talent (F.A.S.T. ), enhancing scouting practices and proactively identifying necessary mental resources for player development. F.A.S.T. saves organizations significant time and potentially millions through reliable ROI information analytics. Learn more at Dafna-Aaronson.com and follow Dafna on Twitter @DafnaAaronson and Instagram: Be Sports Minded.